When you attend a MHEDA Convention, you will gather with hundreds of industry professionals under one roof for four days of outstanding high quality education and endless networking possibilities not to mention many exciting area tours. This is MHEDA’s premier industry event and offers thought-provoking and timely educational sessions as well as daily keynote presentations. We always include presentations with views about the global economy, business cycle pressures and predictions for what’s ahead. In addition, one of the most popular sessions at the convention is the Round Table session where you’ll learn and share best practices and ideas with your industry peers. Another well attended event at a MHEDA Convention is the ever popular Exhibitor Showcase. 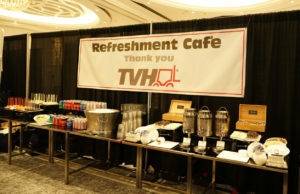 Members come together to display their products or services giving attendees the opportunity to learn about the latest products, technologies and services. This event brings networking to a whole new level. As with any gathering, a MHEDA Convention will also strengthen and form new relationships. A number of different sponsorship opportunities are available at various levels to fit a wide range of budgets. 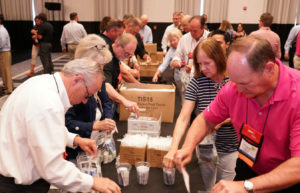 Sponsorship allows you to have a significant presence at the Convention and supports MHEDA’s programming on behalf of the material handling distributor. We hope you will take this opportunity to expand awareness of your brand and demonstrate your commitment to the growth & strengthening of the material handling industry. For more information, please contact: Kathy Cotter direct at 630-915-8405 or email at kcotter@mheda.org. MHEDA will be heading to Phoenix, Arizona for the 2019 Annual Convention and Exhibitor Showcase. 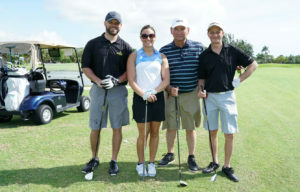 The dates are May 4-8 and will be held at the JW Marriott Desert Ridge Resort and Spa. Registration Desk Open – Pick up your meeting material and badge. 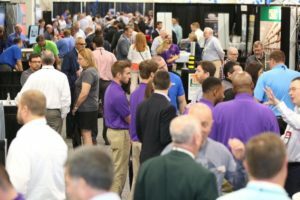 Exhibitor Move-In – Companies who are displaying in the 2019 Exhibitor Showcase will set up their individual booths. New Members Orientation – Meet and greet orientation to help new members and first time attendees feel comfortable at your first convention. Membership Business Meeting – Hear how the association is working to better serve you! 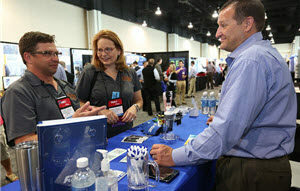 Exhibitor Showcase – A showcase of the material handling industry’s best companies. The showcase provides suppliers with the opportunity to network with distributors across the globe. Roundtable Discussions – Share ideas on critical and best practices with other material handling executives. You will have an hour of uninterrupted time to discuss challenges and opportunities that matter most to you, and learn how others in the industry are handling these same issues. Educational Workshops throughout the Day – meet face to face with industry peers and learn from exceptional speakers.